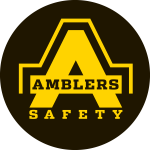 The Amblers Safety AS714 BOLT FLYKNIT Safety Trainer fuses the best in trainer technology with tough protective materials. In a black colourway with cool-grey accents, this trainer is made with a super lightweight flyknit upper for a cooler wear. Stylish synthetic and leather suede overlays add support and premium styling. A versatile fashion-meets-safety style suitable for a wide range of environments including warehouse, delivery drivers, DIY and for tradesmen. 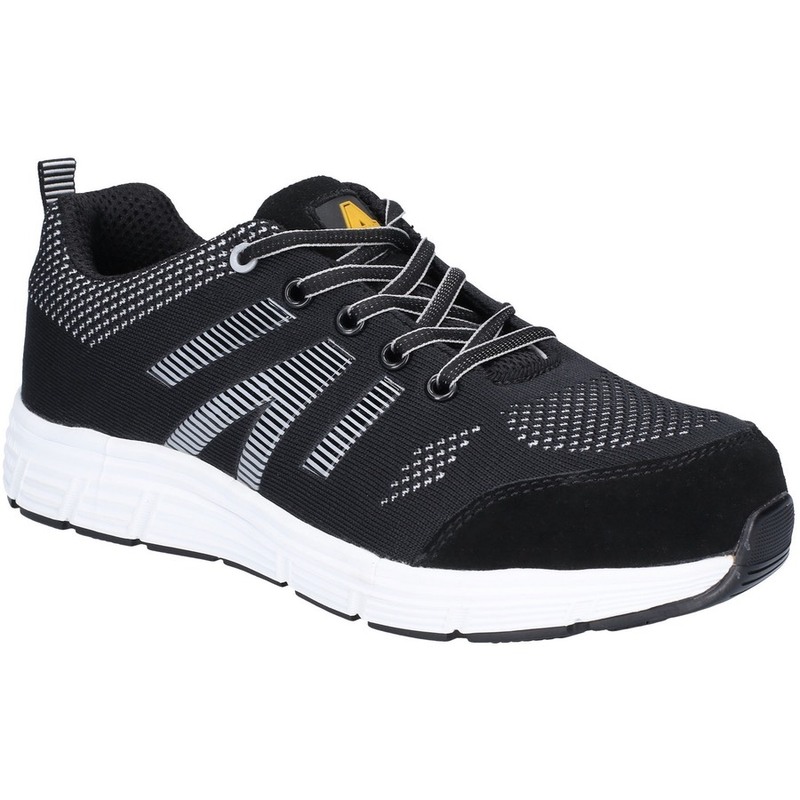 The AS714 Bolt Safety Trainer is a low-profile shaped shoe with mesh cushioning padding around the collar and tongue. An ergonomically shaped inner removable PU foam foot bed gives underfoot comfort, yet the star feature of this product is the ultra-cushioning, lightweight and responsive EVA midsole that brings chunky style to the sole!